Having a clean criminal record is a valuable asset! 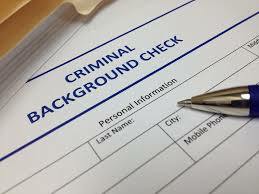 Employers, Lenders and Government Agencies all do routine background checks. Getting into the College of your choice or even renting an apartment can be adversely impacted by a criminal record. If you were convicted of a felony that has a county jail alternative sentence the judge reviewing your petition can, in many cases, reduce a felony conviction to a misdemeanor pursuant to the provisions of Penal Code §17(b). In addition, most prior felony drug possession charges and many other non-violent felonies can now be reduced to a Misdemeanor under the provisions of proposition 47. In the case of juvenile convictions, a petition can be filed requesting the court to seal his or her juvenile court records. Contrary to popular belief, your criminal record is not automatically cleared or expunged with the passage of time. Even if you were never found guilty, an arrest is not expunged unless a court finds that you were factually innocent or, you have your arrest deemed a detention only where charges against you were never filed. In order to do that, you must file either a petition to seal your arrest record or file a motion or petition for a finding of factual innocence pursuant to Penal Code §851.8. To be successful, this process almost always requires the assistance of a competent and qualified criminal defense attorney. At the Law Office of Barry T. Simons, our criminal defense attorneys prepare all the necessary paperwork needed to file for a dismissal under Penal Code §1203.4 before the court. If you are no longer on probation and would like more information about expungements, the sealing of juvenile records, or reducing a felony to a misdemeanor in order to allow you the opportunity to petition the court for expungement, contact the Law Office of Barry T. Simons immediately at 949-497-1729 or complete our Confidential Contact Form.